Again this year I look to the advice of Pope Francis for our Advent Message. He invites us to feel the beauty of hope during this season. We know from experience that hope can sometimes feel distant… “out- there”; yet, our Pope invites us to bring hope close in order to warm ourselves by that very fire!! “In Advent we rediscover the beauty of all being on a journey…. Across the paths of time.” It restores a hope which does not disappoint for it is founded on God’s Word. A hope which does not disappoint, simply because the Lord never disappoints! Let us also allow ourselves to be guided by Mary this Advent, she who is mother knows how to guide us. Let us allow ourselves to be guided by her during this season of active waiting and watchfulness. So my dear parishioners let me say a sincere thank-you for your generous, hope-filled response to God’s invitation of love and service. We here at Holy Rosary are blessed to have each other. “We” together are the Church! 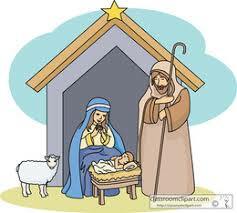 Let us continue on the spiritual journey that the Holy Family has marked out for us. Remember to hold onto the hope of Christ’s love and guidance for each and every one of us. Sincere prayerful good wishes for this Advent and Christmas season. P.S. Please know I will hold all of you in my heart and prayers as I am away on sabbatical time from January through June. Keep up the good work! 8:30 a.m. and 10:00 a.m. and 11:30 a.m. Messages will be checked daily, especially those left in the General Mailbox, ext. 0. Regular Office Hours resume on Thursday, January 2, 2020 at 8:30 a.m.